HCM technology should empower payroll to become a more strategic asset, not act as a barrier. Administrative tasks weigh your payroll teams down, become mundane to your employees, and prevent them from working on projects that could benefit the entire department, or organization. Convoluted technology in payroll processes-maybe the most ubiquitous of all business practices-can translate to hundreds of hours of lost productivity, and unneeded headaches when it comes to tax reporting season or year-end. With best-in-class payroll technology, you can alleviate the administrative tasks, and empower your payroll department to become a strategic asset to your company. 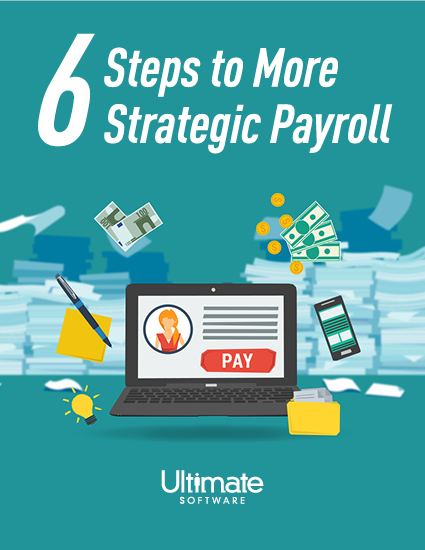 Discover six steps you can take to make your payroll department more strategic, instead of keeping them tied down with manual processes and other inefficient workflows.